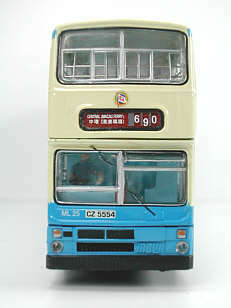 The model - announced by ABC Models in June 2000, this is their first liveried example of the 12 metre MCW Metrobus. 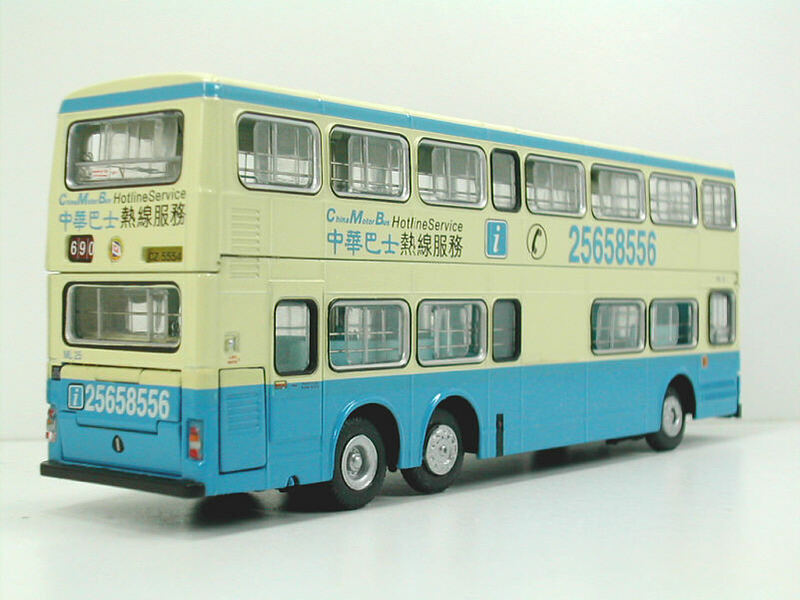 The model was released at the end of June 2000. 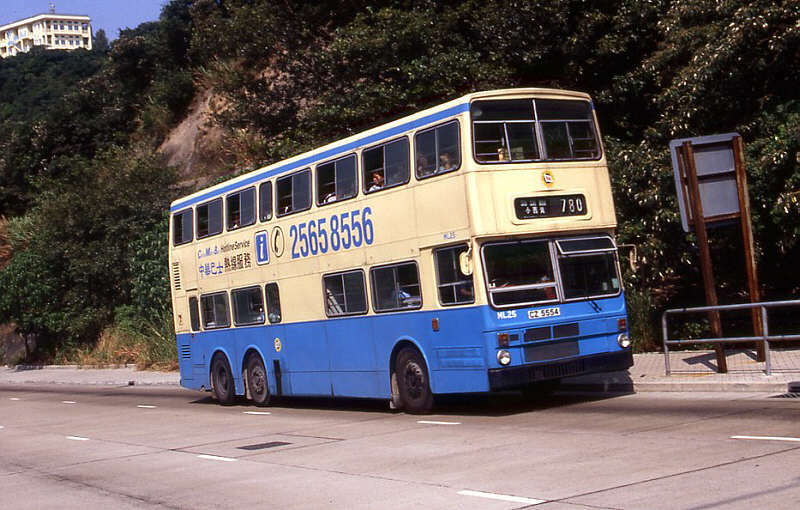 The bus - ML25 entered service with China Motor Bus on 15th July 1983. 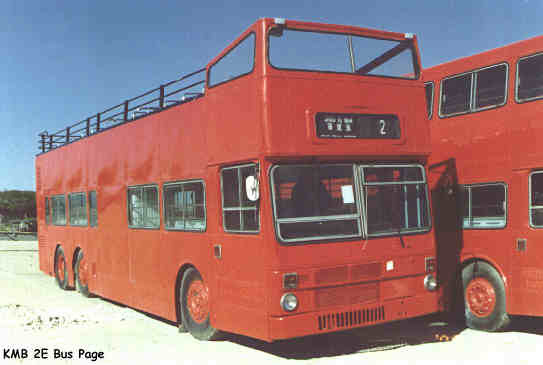 It was one of the initial batch of 42 vehicles, being the first major order for a fleet of modern, three-axle double-deck buses. 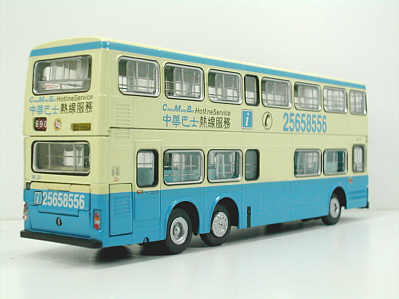 I have just received a sample of ABC Model's first liveried version of their 12 metre MCW Metrobus casting. 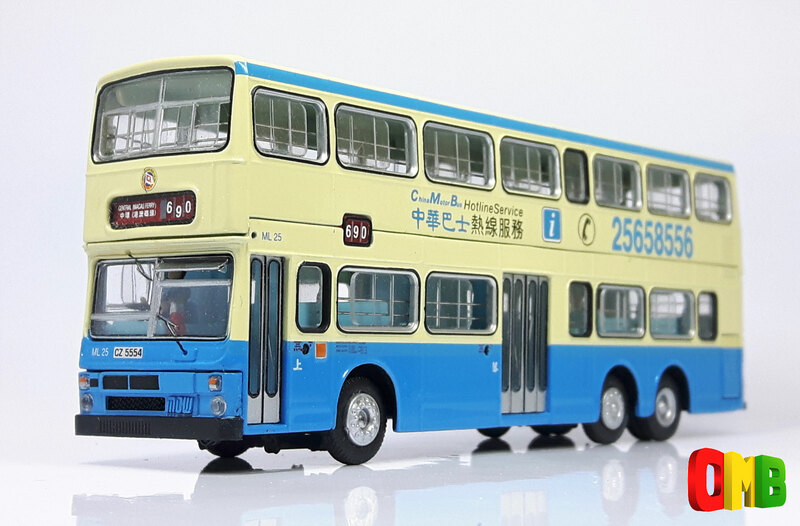 I am in no way an expert on Hong Kong buses, but with the aid of reference books such as Mike Davis's "China Motor Bus" and Danny Chan's "Hong Kong Bus Handbook - Part 3", I have attempted to carry out my first review of a model. 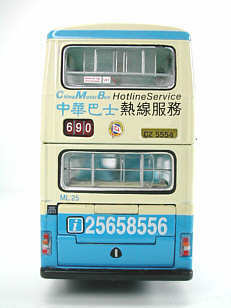 The model comes in ABC's standard card box, with a lid that includes a clear plastic window, enabling the model to be viewed (see picture below). 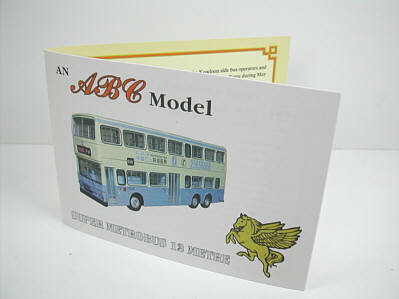 First impressions are that ABC have captured the shape of the prototype very well, and it looks a big bus! Dimensionally, and I am only using a basic ruler, the length and width appear accurate, whilst the height may be a fraction (1 mm) too tall. The chassis is detailed, front wheels are poseable, and the rear and side engine compartments open to reveal a very detailed engine. 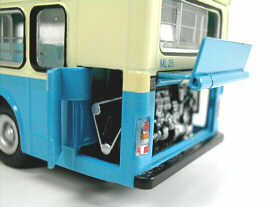 A key is supplied to open the side engine doors, and this is necessity as, when closed, there is an insufficient gap between the doors and the bodywork of the bus to be able to open them without! 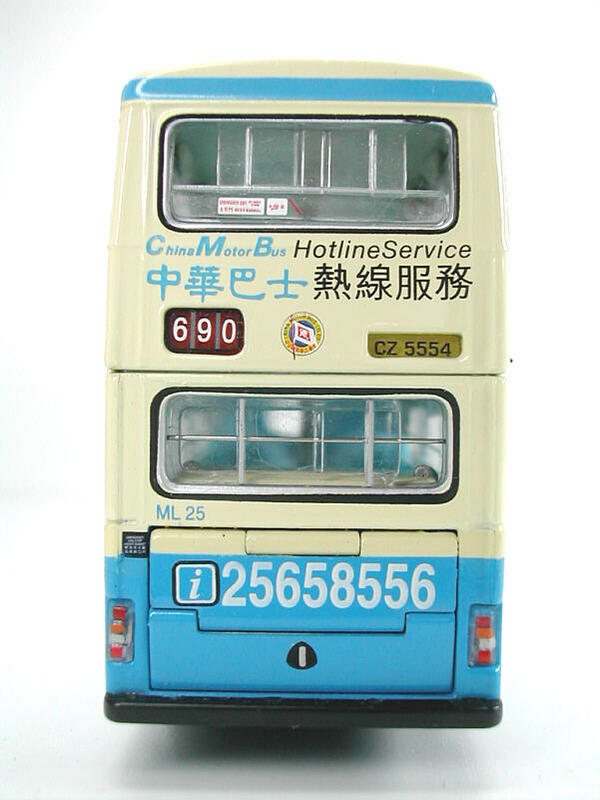 The only discrepancy is the fact that the MCW initials are cast on the front of the model, to the right of the offset grille, although, in reality, only ML1-ML3 actually carried this lettering. The majority of windows are in the open position, and the front route number is realistic, showing route no 690, but with the numbers not in a straight line, which is often the case! 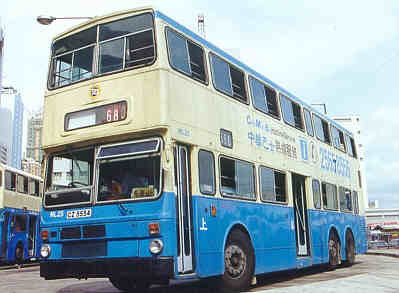 Paintwork and printing is excellent, with "wing" mirrors being supplied, but for fixing by the owner. 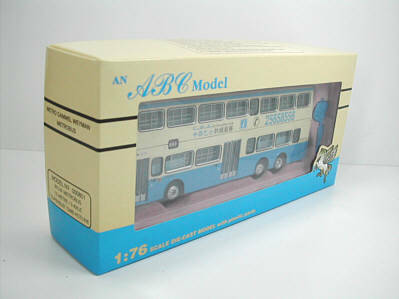 In addition, which is again the norm for ABC, is a history of the model is included. 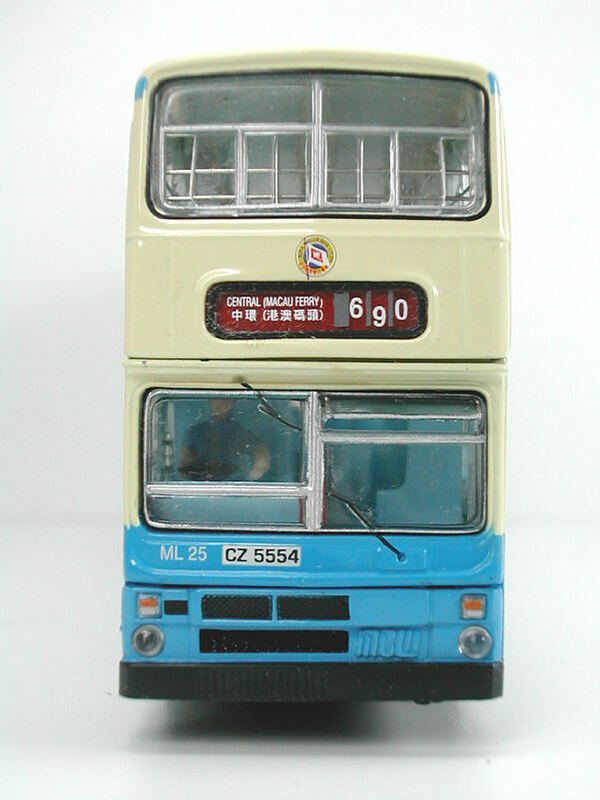 To summarise, I believe this to be an excellent model, and certainly, from my own point of view, the best "modern" bus from ABC yet. ML 25 in its present location, Australia.